Summer program for teens July 15-19 and July 29-Aug 2, 2019. Learn more and register. Vegetables are a culinary wonder with their variety of textures and flavors, and a gift to us cooks. If they occupy the lowly place of repentance food on your table, it's time to rethink your cooking techniques. In this class, you'll get hands-on practice with blanching, roasting, pan searing, braising, and sauteing vegetables, as well as serving them raw. You'll learn to buy, wash, store, and cook everything from roots to leafy greens. How do you prevent asparagus from turning mushy and stringy? What do you do with Swiss chard, beets, fennel, celery root, and rutabaga? How do you make a good salad? Bring your vegetable questions and come ready to cook and eat. Dishes will vary with the season and availability of ingredients, but are likely to include fennel radish green bean salad, seared asparagus, roasted beets with farro, and Swiss chard bruschetta. This class is vegetarian and Paleo friendly. Who doesn't love pristine fish served raw? Most people don't think twice about ordering raw fish in a restaurant, but don't know where to begin when it comes to serving it at home. Where do you buy it? How do you store it? What species are safe to eat raw? How do you slice it? What do you pair it with? How do you deal with the risks of food-borne illness? This class will answer all these questions and give you plenty of hands-on practice slicing fish for sashimi, tartar, and ceviche dishes. Come hungry for assorted sashimi, tonno crudo (raw tuna) with a fennel salad, scallops ceviche with mango, and hamachi tartar with apples and ginger. Note: the dishes vary based on the season and availability of ingredients. This class is Paleo friendly. What can be more delightful on a warm summer day than our local striper or bluefish right off the grill accompanied by farmer's market veggies! Unless, of course, half of the fish got stuck, the other half fell through the grill grate, and those zucchini burnt to a crisp. Cooking over an open flame might be the oldest method known to man, but it does require a lot of finesse to master. What fish types are appropriate for grilling? When should you turn the heat up and when down? How do you avoid sticking? When is the fish done? This class will answer all your fish and vegetable grilling questions. We will use a gas grill, but the same techniques apply if you are grilling on charcoal. Dishes might include bluefish with cilantro lime butter, whole branzino with lemon and herbs, swordfish with cucumber yogurt sauce, mustard glazed trout, and assorted grilled vegetables. Note: the dishes vary based on the season and availability of ingredients. This class is Paleo friendly. Rainy day policy. If having a dinner party stresses you out, come to this class and learn to do it the Spanish way. Break the "appetizer - entree - dessert" mold, and see the world of delicious and flexible possibilities open up. In this class, we'll recreate some of the most famous tapas. Dishes vary with the season and availability of ingredients, but might include tortilla de patatas (thick potato egg omelette), garlic shrimp, burgers with romesco sauce, and asparagus with serrano ham. Along the way, you'll pick up many useful tips on buying ingredients, prepping ahead, cooking everything to perfect doneness, and composing a harmonious menu. If crispy, juicy meat turns you on, why not learn the techniques that achieve perfection every time you fire up the grill? Successful meat grilling is not about big flames and big tools; it's about chemistry and thermodynamics. In this class, we'll learn what cuts of meat and poultry to choose for the grill, when to use high heat and when to go low and slow, how to test for doneness, and why marinades work or fail. Dishes might include a grilled rib-eye steak with chimichurri sauce, grilled lamb chops with mint butter, pork chops with mustard vinaigrette, and chicken thighs with pomegranate syrup. Note: the dishes vary based on the season and availability of ingredients. This class is Paleo friendly. Rainy day policy. Do you get excited about a trip to the farmer's market, but dread chopping all those veggies and herbs? If the onions make you break into tears and you can't remember the last time you sharpened your knife, come to this hands-on class and learn to slice, dice, and mince in a casual and supportive environment. We'll go over which knives are used for which cuts, how to buy a good knife in any price range, as well as sharpening and caring for your knives. And what cooking class is complete without a sumptuous dinner? The meal we'll prepare out of all those veggies might include fennel orange salad, potato leek soup, tomato onion tart, and ratatouille. This class is vegetarian. What do restaurant cooks and stressed out working parents have in common? Both need to get food on the table fast while dealing with distractions. The sous-vide technique has revolutionized cooking in restaurants, eliminating doneness mistakes and creating flexibility for when the food is served. Compact and affordable sous-vide equipment is now bringing the sous-vide revolution into people's homes. With a bit of weekend planning, you'll have juicy steaks, tender chicken, and mouth-watering lamb on a weekday night in under 30 minutes. This class will teach you strategies to get the most out of this wonderful method. You'll also learn prep strategies for quick sides and sauces. In only 3 hours, we'll prepare 5 easy dinners that will look and taste like restaurant meals. This class is paleo friendly. What can be better than pizza with delicious local produce on a summer day! No need to heat your house by using the oven; pizza is outstanding cooked on the grill. It's one of the simplest dishes to make, and one of the simplest to mess up. Does your dough refuse to stretch into a thin circle? Does it get soggy under the sauce and toppings? Are you at a loss as to how to produce a perfectly crisp thin crust? Does your grilled pizza turn charcoal black on the bottom while remaining raw on top? This class will answer all your pizza questions. You'll make a 5 minute home-made crust that will teach you many baking fundamentals. You'll also make 4 versatile sauces while learning to use heat and seasoning to your advantage. We'll make pizza Margherita (tomato, mozzarella, and basil); pizza with caramelized onions, pears, walnuts, and blue cheese; pizza with pesto, zucchini, and tomatoes; and Middle Eastern flat bread with cucumber yogurt dip. Note: dishes may vary based on the season and availability of ingredients. This class is vegetarian. Rainy day policy. Move over France, Italy, and Spain—there is a new kid on the block! Where do the best chefs in the world go to eat and get inspired? Peru! Peruvian cooking combines the best traditions of indigenous, Spanish, Japanese, and Chinese cuisines. This class will open your eyes to the fascinating culinary crossroads that form contemporary Peruvian cooking. You'll learn how to choose the freshest seafood, how to shop for unusual Peruvian ingredients, and how to make the fundamental sauces of Peruvian cooking: salsa creola, leche de tigre, and seco base for braises. The dishes we'll prepare might vary with the season & availability of ingredients, but are likely to include ceviche (raw seafood dressed in lime juice), causa wraps with arctic char, and Arroz Verde with Duck (like Spanish paella, but better). Do you like to eat fish in restaurants, but are scared to cook it at home? Or, are you bored of baking salmon with a squirt of lemon, but not sure how to expand your repertoire? Come to this class and explore the bounty of the sea available to us in New England. You'll learn to find a good fish market in your area, buy the freshest fish, learn all about fish personalities and substitutions, and test fish for doneness. We'll make salmon teriyaki, trout in almonds, halibut in sorrel sauce, broiled bluefish, and swordfish Provençal. Note: the dishes vary based on the season and availability of ingredients. This class is Paleo friendly. Do you want to learn to make eclairs, cream puffs, Paris-Brest, and fancy hors d'oeuvres? Then you need to master pâte à choux -- the most versatile, gloriously puffy, make-ahead-friendly dough in the French pastry repertoire. Pâte à choux might require more finesse than banana muffins, but the process is not complicated. After we discuss the science behind this technique and give you a chance for hands-on practice, you'll be able to wow your family and friends with magnificent desserts and savory bites. You'll learn to make pastry cream, ganache, and other fillings; avoid the pitfalls of collapsed or soggy puffs; and use a pastry bag like a pro. We'll make both savory and sweet dishes. You can use butter with abandon, you can drink champagne at 11am, you can dress up, or you can be in your pajamas. Yes, I am talking about the most joyous meal of all time — brunch. If you are stressed out about flipping crepes, poaching eggs, and breaking your hollandaise, it's time to learn the cooking techniques that will turn you into the brunch master. 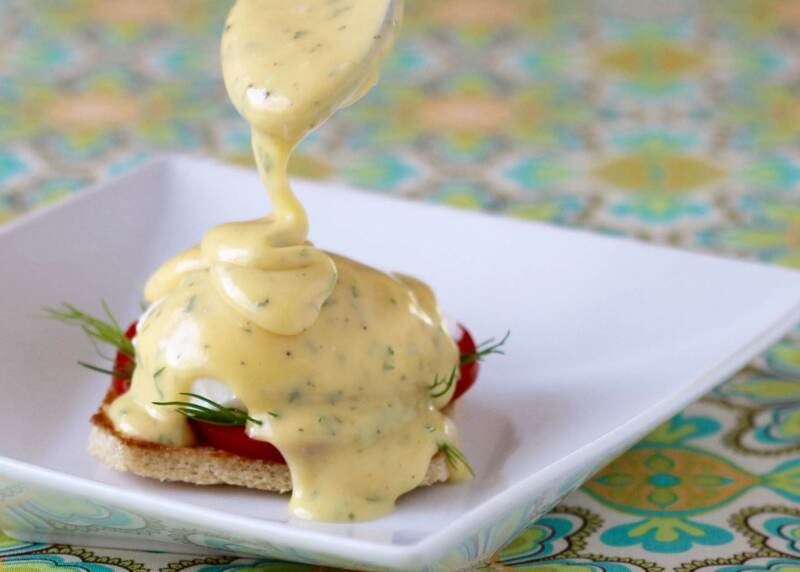 In this class, we'll explore the brunch classics: Eggs Benedict with Smoked Salmon, Biscuits and Gravy, Crepes, and Veggie Hash with Sunny-side up Eggs. Note: dishes may vary based on the season and availability of ingredients. How do I get a spot? Whenever I check the website, the class I want has a waiting list. Read our tips on getting spots. The class I want to take is full. Will you offer it again? Yes. Most of these classes are offered on monthly basis and are announced 2 months in advance. Can you send me e-mail when you announce more classes? Yes. Just send us an e-mail to get on our mailing list. Do we just watch or do we get to cook too? All classes are hands-on, so everyone gets to participate. Yes! A full meal is included in each class except for baking classes that are not held at meal time. Yes. Fill out the gift certificate request form to purchase one. What materials should we bring to class? Wear comfortable shoes--you'll be standing on your feet for 2-3 hours. We'll provide everything else.